I am loving this beautiful new room from the studio at One King's Lane! 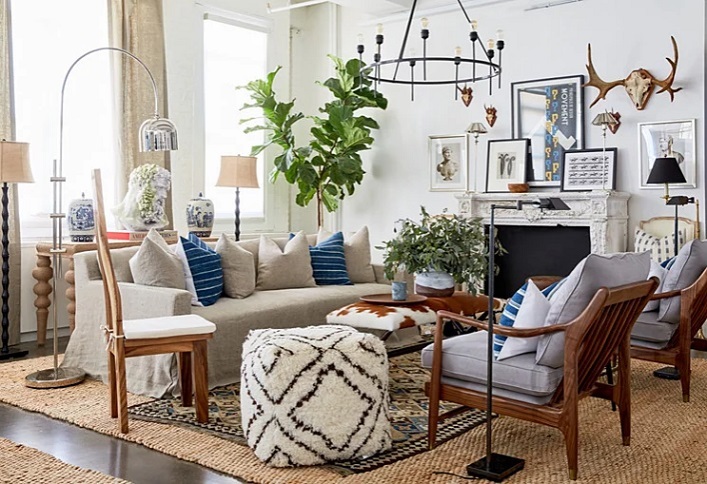 There's an eclectic mix of furniture, wonderful textures and patterns in this space, contributing to a layered, collected and effortlessly chic look. Exuding personality, warmth and a laid-back style, this delightful space is truly an inspiration! What do you think? Do you gravitate towards this room as much as I do?